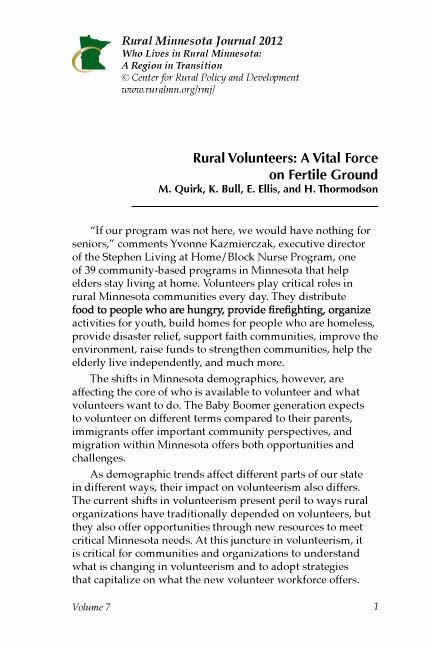 How is the transition from the Greatest Generation to the Baby Boom to Generation X affecting volunteering in Greater Minnesota? Some new research shows us. Click here to read and download.